Taco Bell will introduce a new taco made with Doritos. 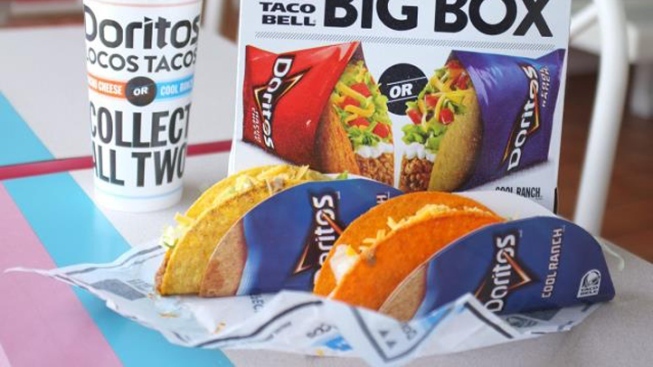 Taco Bell released a Vine video to tease yet another Doritos Locos Tacos flavor that will hit restaurants later this month. The new, mystery flavor will join the popular Nacho Cheese Doritos Locos Tacos, which has become Taco Bell's most successful product launch in its 50-year history. The Cool Ranch flavor was introduced in March. Rumor has it that the new flavor will be inspired by Dorito's chili-lime flavored Flamas chips. Nation's Restaurant News reported about a year ago that Flamas Doritos Locos Tacos were being tested at stores in Toledo, Ohio.